This page provides information about all forthcoming philatelic events to be held in differnt parts of the country, past event held in India and information about forthcoming international philatelic Exhibitions. Please click on the links provided on left side to see information about exhibitions or events in respective quarter or year. EXPHIMO is the yearly official thematic stamp exhibition organized by the Luxembourg Philatelic Association (FSPL). 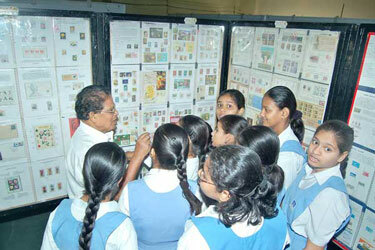 The responsible organizer is the thematic stamp collector club PHILCOLUX. BIRDPEX 8 will be held from 19th May to 21st May 2018 at the Centre Sportif "Roll Delles“, avenue des VillesJumelées L-5612 Mondorf-les-Bains, Luxembourg as part of the philatelic exhibition EXPHIMO 2018 by Philcolux on the occasion of the 60th Anniversary of Foundation of the Salon thematic philately. The EXPHIMO is a national exhibition with international participation. The exhibits of the competition classes will be evaluated by applying the FIP conditions for thematic exhibits. Exhibits which do not fulfil these conditions will not be evaluated and receive only a participation certificate. An Exhibit which is registered for one of the competition classes must comprise at least 3 frames (1 frame = 15 pages refer: http://philcolux.lu/Cadres.pdf). A prior award for the participation to the EXPHIMO is not required. Exhibits that have received gold award at a FIP exhibition will not be accepted for the competition classes. Each exhibitor has to be member of a stamp collector club or of a thematic stamp collector group, which is member of the FIP through its national stamp association. The registration using the special registration form with a copy of your exhibitor pass must have been sent until the 31.12.2017 to Mr. Roger THILL, 8A rue du Baerendall, L-8212 Mamer. Fees: The participation and registration fees is 10 Euros per frame. This amount must be paid within 2 weeks of the allotment notification. Please contact organisers for shipping cost for return of exhibit. Those who wish to participate in above exhibitions are requested to contact respective National Commissioner for more information. Philatelists/Philatelic clubs/organisations in India are requested to send us information about the philatelic exhibitions/events to be held in your area. To suggest an event for our database, please use the contact form and choose “Events” as subject. Every effort is made to ensure accuracy of the information, however you are requested to verify information with organisers.